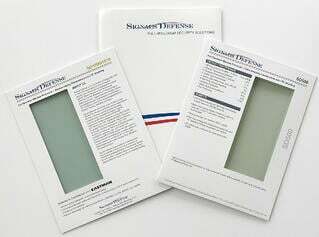 Thank you for considering Signals Defense for your building shielding needs. We are thrilled to share our films products for you to see and feel. Please complete the form on the right and choose two (2) samples.